A variety of methods to harvest and regenerate trees have been developed for forests of different types. Some have been studied experimentally and benefit from knowledge gained over decades, whereas others are still being devel oped and adapted. The methods rely on information about ecological and economic conditions of a site, including soil characteristics and life history requirements of plants and animals, plus human cultural practices which favor the establishment and growth of some species over others. 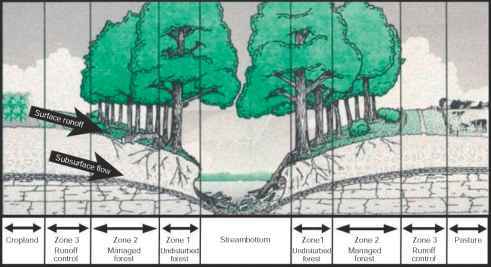 In implementing ecological forest management, the focus is on sustaining and developing the forms and functions of specific forest types. In some places, conditions favor stands comprised of few species and age classes, whereas in others the interaction of resource availability, species life histories, and disturbance patterns give rise to complex structures and composition.